NGC 6822 was discovered by E.E. Barnard in 1884. 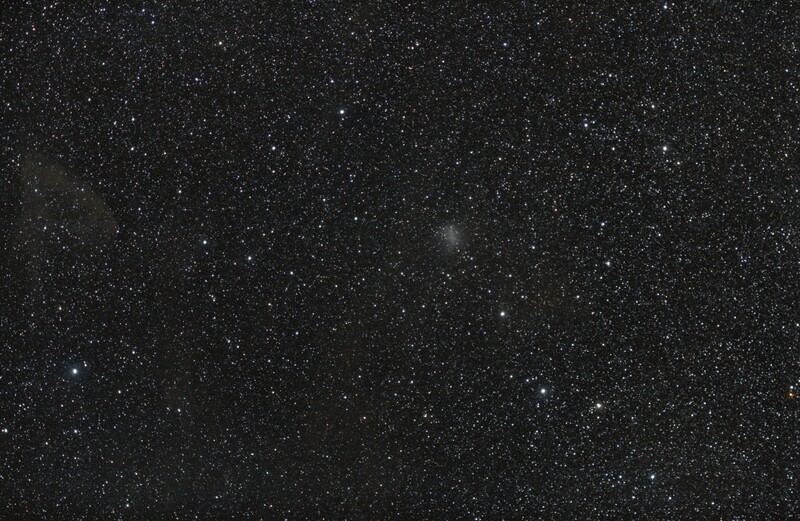 This irregular dwarf galaxy is a member of the Local Group. 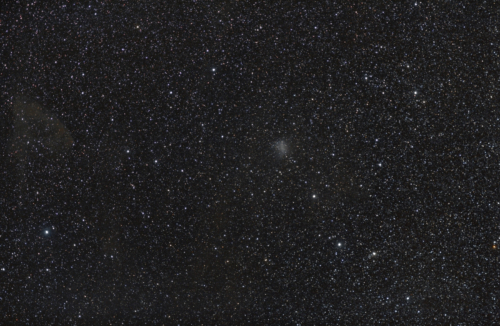 There is much dust in this region of the sky, as can be seen clearly in the inverted image. The dust is a part of our Milky Way. 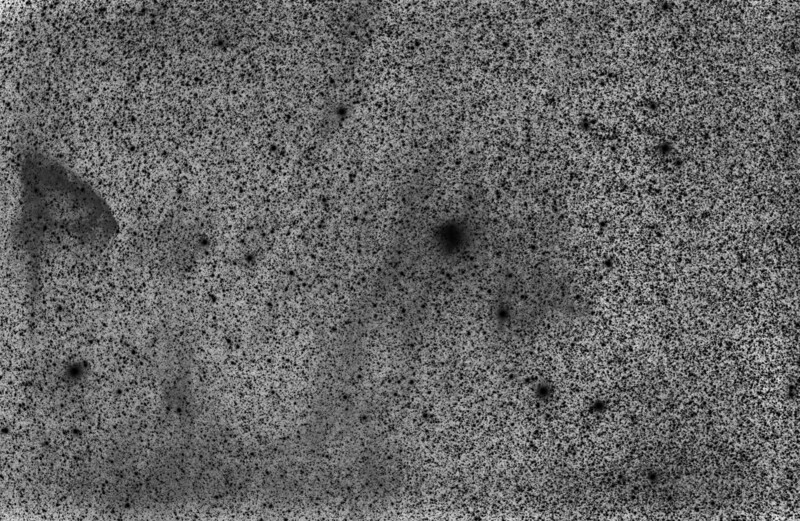 Because we are looking through this dust at Barnard's Galaxy, the colour of NGC6822 is more reddish than it would have been without dust: E(B-V)=0.24 mag.